Robert had been a world-class surgeon who had pioneered several new surgical procedures and published more than 100 articles in scholarly journals. He’d also given innumerable lectures at scientific meetings. That was until Alzheimer’s struck. His wife finally had to place him in a memory care facility, where he spent part of each day tearing out strips of paper from magazines. He never tired of it. He was always smiling while doing this, and appeared to be enjoying himself. But his wife, Anna, was distressed beyond belief to see the formerly brilliant surgeon reduced to tearing strips out of a magazine. She couldn’t help but think what a horrible thing it was for him to be doing. She always dreaded going to visit him because his pastime was so meaningless – or at least it seemed meaningless to her. She often cried all the way home, thinking about everything Robert had lost. In a word, Anna was not able – and perhaps hadn’t even tried – to accept Robert’s condition and to be pleased that his magazine activity seemed to make him happy. This happens with many caregivers. All they can think about is how much their loved one’s mind has deteriorated. All they can say to themselves is “what a pity and a tragedy.” They usually don’t enjoy visiting and often cry all the way home after visits. But there is a better approach. An approach that can set you free to experience joy while interacting with your loved one. The approach is to accept the person just the way they are. To relate to them in their world. To be aware and be happy if they are enjoying their activities. It’s important to focus on what the person still can do rather than on what they can’t. It’s important to accept their condition, accept the fact that they aren’t going to get better, and then go on from there. In my case, my beloved Romanian soul mate of 30 years had been first a successful attorney and later on a Professor of French. The man had been a brilliant scholar, well versed in literature, literary theory and criticism, philosophy, history and on and on. He spoke five languages and could read two more. When he moved to the Alois Alzheimer Center in Cincinnati, Ohio, I hesitantly took him a little stuffed animal one day. Much to my surprise he loved it! So I subsequently took him more and more animals. He loved each one more than the one before. I could have looked at this two ways. The first would be to feel it was tragic that such a brilliant man had been reduced to playing with a child’s toy. In fact, that’s exactly the way one of his close relatives felt about it. They labeled it a horrible tragedy. And they suffered because of it. But I took the second approach, which was to accept the situation. It was to play with him and the stuffed animals and to feel his joy. It made me feel joyful, too. My approach was so much better than sitting around cursing the disease. Incidentally, some experts say that you shouldn’t give people with Alzheimer’s children’s toys to play with. But I beg to differ. 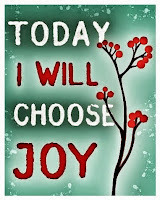 In my opinion, anything that brings the person joy not only is okay to do, it’s essential to do it. Problems also arise when a loved one doesn’t recognize you anymore. Many caregivers consider this a fate worse than death. However, it could be that your loved one enjoys your visits anyway. And that’s what matters. Again, if you can truly accept the situation you may find you’re feeling joyful just being with the person. It certainly isn’t easy to accept a loved one’s decline, but you will probably feel much better if you learn to accept it and learn to love the person despite everything. Acceptance is a person's assent to the reality of a situation, recognizing a process or condition (often a negative or uncomfortable situation) without attempting to change it. The willingness to tolerate a difficult or unpleasant situation.